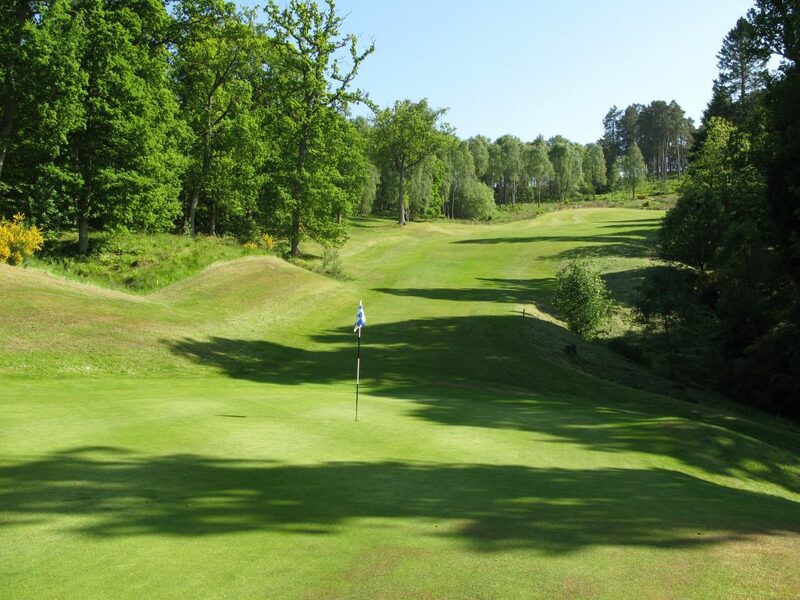 Approach to the par 4 2nd – requiring a well placed tee shot, into a narrow green over a deep ditch. 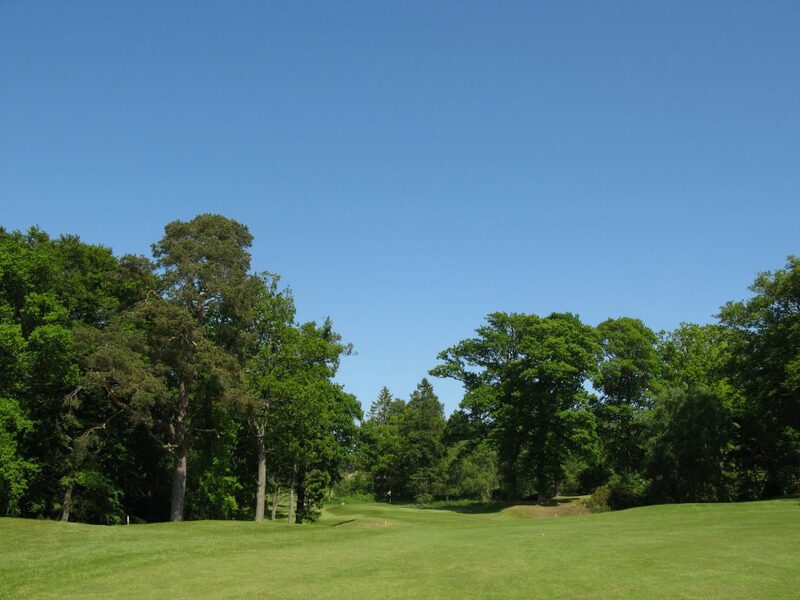 The esteemed golf architect Hamilton J Strutt (grandson of James Braid’s foreman) designed the original Championship course in the 70s, and returned to design the Lynedoch course which opened in 2000. The latter course is named after Thomas Graham, aka Lord Lynedoch, who became second in command to the Duke of Wellinton’s Armies in the early 1800s. Playing the Lynedoch actually reminds you of the Duke of Wellington when importalised in song for “marching them up to the top of the hill, and marching them down again!” There’s plenty of hills to march up and down on the Lynedoch course, which feels longer than its 5279 yards off the white tees. I wouldn’t recommend carrying a full bag! The Lynedoch Course really surprised me for both its quality and character, given that it is very much the junior course at Murrayshall. It is very difficult to give a single course type categorisation, and is a mix of woodland and parkland/medow, and has some wonderful highland views to the north. It also has a fair amount of bracken, ditch/water hazards and Disney sized bunkers on some holes. Given its all round quality and design, it’s arguably better value than the longer Championship course. It has many memorable holes, starting on the first, a dog leg right par 4, which is much harder than the stroke index of 10 would suggest. The second, a shorter par 4, starts to lay out the need for accuracy needed here. Then the 3rd is the first of 6 delighful par 3s, with a hugh amount of variety. 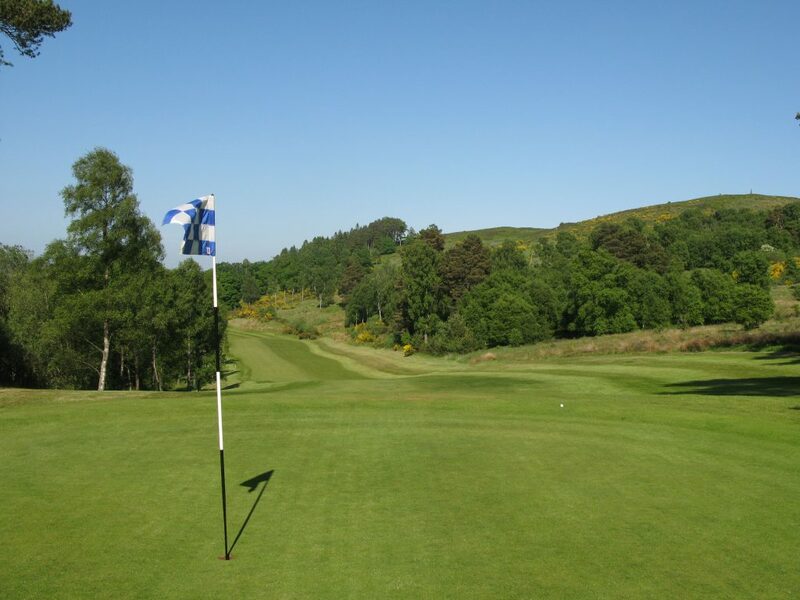 The long par 3 15th tee on The Lynedoch, with deep ditch just visible on the left – can’t imagine many 2s here! My favourite holes were the 14th, 15th and 16th, with stroke indexes 1, 5 and 3 repectively – I rather suspect these holes have defined many match play games here. The 15th is particularly interesting played as a long par 3 (212 yards) off white but as a short par 4 (294 yards) off yellow. It requires the most accurate tee shot, due to a right to left sloping fairway into a deep ravine/ditch – which I had to chip out of! 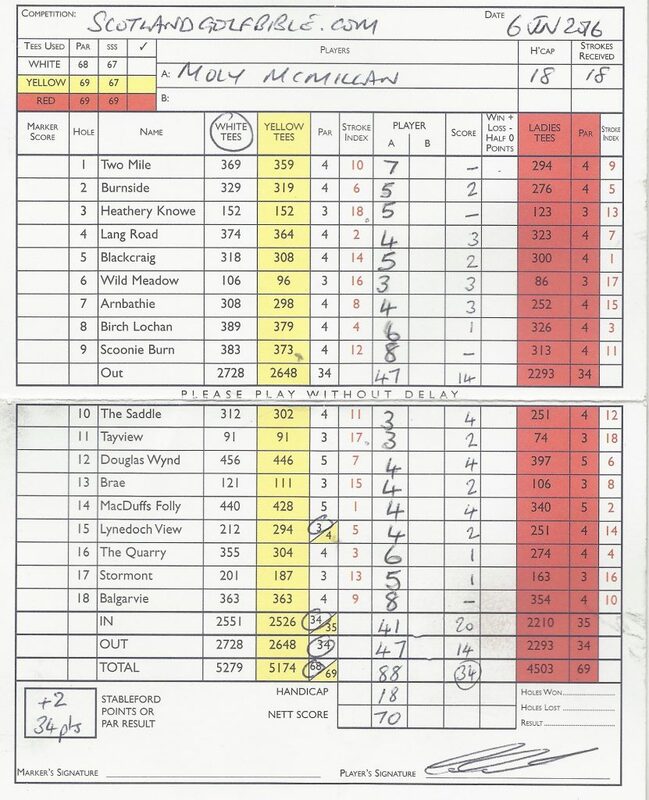 The course was in excellent all round condition when I played and I had a very mercurial round of 88 (net 2 over), including 3 birdies for the second time in my life, but unfortunately 2 quadruple and 1 triple bogie! I think this scorecard rather sums up the Lynedoch course – lots of opportunity and hazard, but very true greens! I highly recommend playing here. A mercurial 88, with 3 birdies and 2 quadruple bogies! 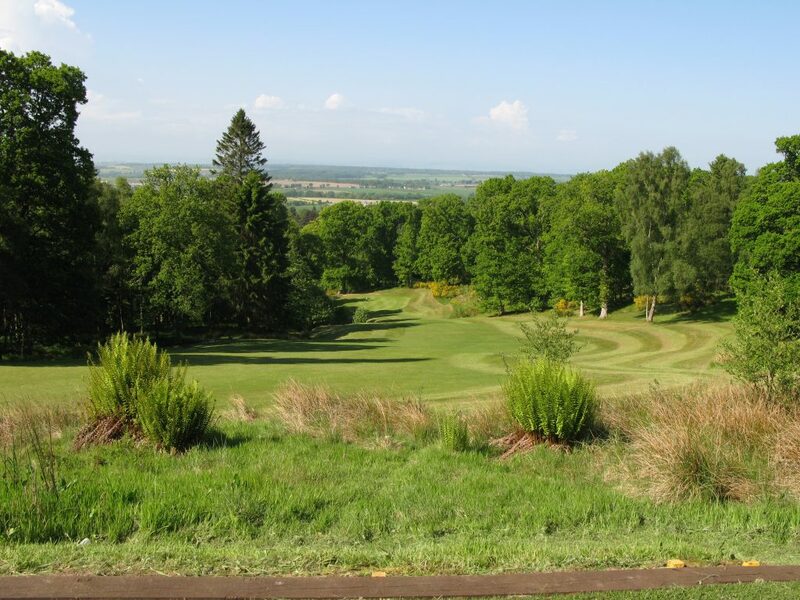 This entry was posted in 4 star, 4 star, Commercial, Course Architech, Course Owned By, Course Quality, Course Type, Hamilton J Stutt, Overall Value, Perthshire, Price, Region, Since 2000, When Course Established, Woodland, £20 - £39. Bookmark the permalink.